Telehealth – the use of technology to provide and coordinate health care at a distance - is an increasingly critical component in the delivery of health services. Using technology to provide healthcare remotely is seen as a major strategy to address the continuous increase in the demand for care. For MCH populations, telehealth has proven to be an effective tool in making the types of specialized care and coordination needed by children with special health care needs (CSHCN) more accessible; and has been used to provide quality care in areas such as behavioral health, neonatal care, disease management and more. Literature has identified six competencies across studies associated with telehealth. These six competencies are seen as the domains necessary to address when providing telehealth and serve as the underlying structure of this training brief. View each of the competency areas below and corresponding learning opportunities for: 1) Communication skills, 2) Coaching skills, 3) Ability to combine clinical experience with telehealth, 4) Clinical knowledge, 5) Ethical awareness, and 6) Supportive attitude. Engaging Providers with Telehealth Technology: Training Modules and Communication Strategies. Date Developed: April 28, 2017. Source: National Consortium of Telehealth Resource Centers. Presenter(s): Alaa Qari, BDS; Maria Cerda, MA; Deana Barakat; Kalpita Patel; Meaghan Wostbrock Type: Webinar. Level: Introductory. Length: 42 minutes. Strategies for Successful Public Health Messaging. Year Developed: 2013. Source: Northwest Center for Public Health Practice. Presenter(s): Tim Church; James Apa. Type: Webinar Archive. Level: Advanced. Length: 60 minutes. Social Media: Changing Communication and Interventions in Public Health. Year Developed: 2012. Source: University at Albany School of Public Health. Presenter(s): n.a.. Type: Video. Level: Intermediate. Length: 60 minutes. Integrating Health Coaching and Technology with Vulnerable Clients. Date Developed: October 13, 2015. Source: National Frontier and Rural Telehealth Education Center. Presenter(s): Scott Walters, PhD; Emily Spence-Almaguer, MSW, PhD. Type: Webinar. Level: Introductory. Length: 42 minutes. Peer Coaching. Year Developed: 2011. Source: Maternal & Child Health Public Health Leadership Institute. Presenter(s): Claudia Fernandez, PhD. Type: Narrated Slide Presentation. Level: Introductory. Length: 15 minutes. Mentoring and Coaching. Year Developed: 2011. Source: South Central Public Health Partnership. Presenter(s): Louis Rowitz, PhD. Type: Narrated Slide Presentation Podcast. Level: Intermediate. Length: 120 minutes. Technology-Based Clinical Supervision: A Practical Guide. Date Developed: September 12, 2017. Source: National Frontier and Rural Telehealth Education Center. Presenter: Tony Rousmaniere, PsyD. Type: Video Conference Presentation. Level: Introductory. Length: 59 minutes. Telepractice Improvement Series: Training the Workforce on Implementing Effective Technology-Based Services. Date Developed: May 9, 2017. Source: National Frontier and Rural Telehealth Education Center. 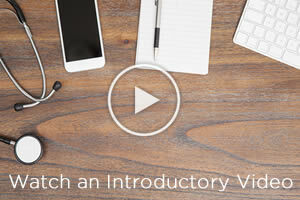 Presenter: n/a Type: Video Discussion. Level: Introductory. Length: 50 minutes. How New Technologies are Transforming Health Care. Date Developed: n/a. Source: Harvard T.H. Chan School of Public Health. Presenter: Meredith Melnick; Ashish Jha, Mark Mitchell, Randall Moore, Steve Crossan, Maureen McCarthy. Type: Video Panel Discussion. Level: Introductory. Length: 59 minutes. Using SSPR Technology for Behavioral Health Screening, Service Planning and Referrals. Date Developed: August, 8, 2017. Source: National Frontier and Rural Telehealth Education Center. Presenter(s): Doug Herzog, Susan Wagner, LSW. Type: Webinar. Level: Intermediate. Length: 52 minutes. Overview of New National Child and Adolescent Telemental Health Guidelines. Date Developed: June 13, 2017. Source: National Frontier and Rural Telehealth Education Center. Presenter: Eve-Lynn Nelson, PhD. Type: Webinar. Level: Introductory. Length: 44 minutes. New Ethical Dilemmas in the Age of Technology. Date Developed: July 11, 2017. Source: National Frontier and Rural Telehealth Education Center. Presenter: Christina Boyd, LDCSW, LCAC. Type: Webinar. Level: Introductory. Length: 52 minutes. New Ethical Dilemmas in the Digital Age: Telehealth Technologies and Treatment. Date Developed: n/a. Source: Addition Technology Transfer Center Network. Presenter: Michelle Padden, MSW, CSW, LSW. Type: Webinar. Level: Introductory. Length: 72 minutes. Telehealth Connect Working for You: Use Cases That Help with Reporting, Engagement and Collaboration. Date Developed: September 21, 2017. Source: National Consortium of Telehealth Resource Centers. Presenter: Steve Sedlock. Type: Webinar. Level: Introductory. Length: 53 minutes. Engaging Patients and Providers with Telehealth. Date Developed: June 12, 2017. Source: Association of State and Territorial Health Officials. Presenter: Mei Wa Kwong, JD. Type: Webinar. Level: Introductory. Length: 57 minutes. Technology-Based Peer Support for Military Veterans and Families. Date Developed: April 11, 2017. Source: National Consortium of Telehealth Resource Centers. Presenter: Robert Curry. Type: Webinar. Level: Introductory. Length: 53 minutes.